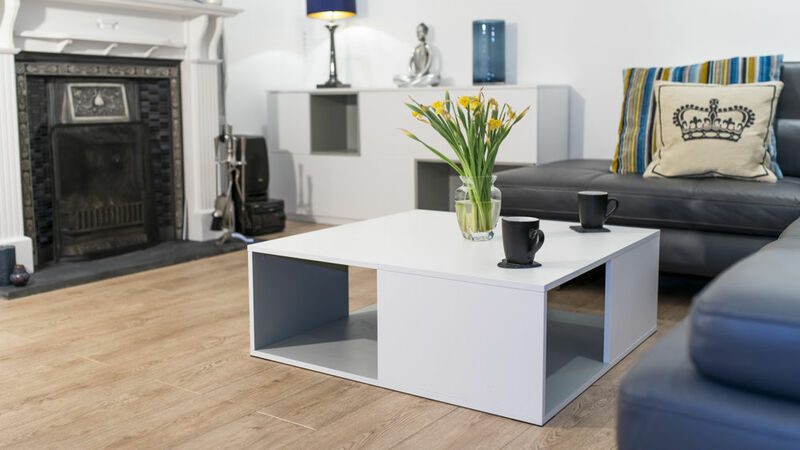 The Emilia White Oak Large Coffee Table is a simple yet very stylish modern coffee table. It's square in shape with a lovely tactile white oak veneer on the outside, with the inside finished in a contrasting grey oak. 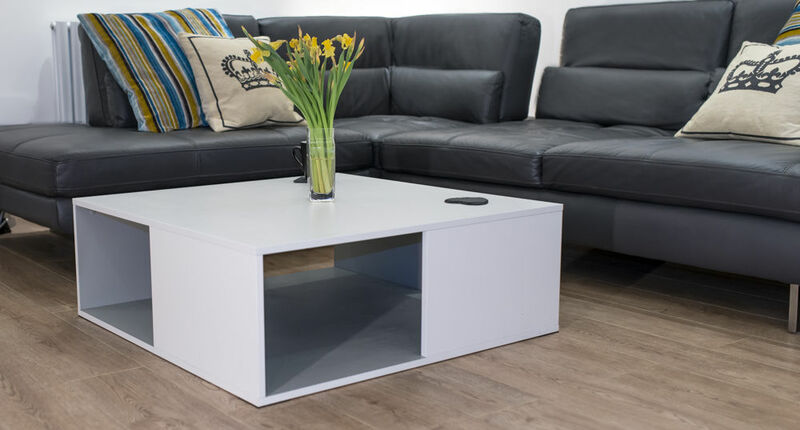 If you are looking to add a modern yet practical piece to your living area, the Emilia White Oak Large Coffee Table would definitely be a clever choice! The modern white oak veneer is a stylish alternative to having a high gloss finish, as it will keep your space looking light and bright, while the warmth of the oak veneer shines through. This makes the Emilia a sleek centrepiece for any living room. The hollow inside of the Emilia White Oak Large Coffee Table is ideal for storing miscellaneous items in your living room, or you can use it as a display area to showcase your favourite ornaments and decorative pieces. This makes the Emilia both practical and stylish. The inner space of this coffee table is finished in a light grey oak veneer, adding a subtle pop of colour and contrast to the white oak top. The squared shape of the Emilia coffee table means it will easily fit into a variety off living room spaces, both large and small, while its stylish white oak veneer makes it incredibly easy to place alongside other finishes in your home. This makes the Emilia very versatile. Matching the Emilia White Oak Large Coffee Table, we have the Emilia White Oak Small Coffee Table. It's slightly smaller in size and handy to use as a side or lamp table in your living space. There are also many other matching items in the Emilia White Oak Furniture Range to carry this sleek and modern look throughout your home.